Welcome, I am the "Old “96”. Campers, cowboys and hunters, come on in. There are 96 sections to choose from, and here the days can be spent walking the mountains or strolling through my scenic flatlands. Every mountain, stream and valley bears a name. I have ponds where the ducks come to drink and watering tanks for the wildlife, the deer, the javelina and quail. Of course my water belongs to all the animals. Old men still come here as they have since they were kids. They come to lose themselves, to sit around cracklin’ fires and tell stories about their adventures on the “96”. They talk about when I used to be a working ranch, and of course about the little bit of hunting that still goes on. 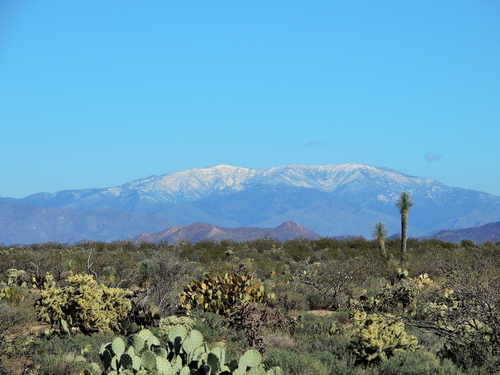 During the day you can watch hawks and eagles perched on saguaros, or flying nickel high above the desert landscape. At night, while sitting by a soothing fire, if you listen closely you can hear the animals talk. 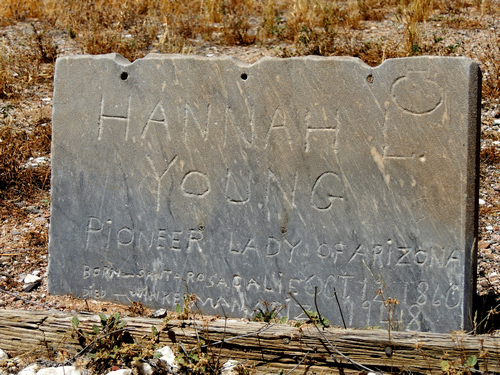 The Indians were here before I was born, and if you look in the right places you will find their legacy still remains. From the three “C”s all the way past Rock Mountain to Middle Mountain, there is a half century of history to be found. So come on in, visit an old friend to the people who have been a part of me for so many years. I am known as “THE OLD “96”. 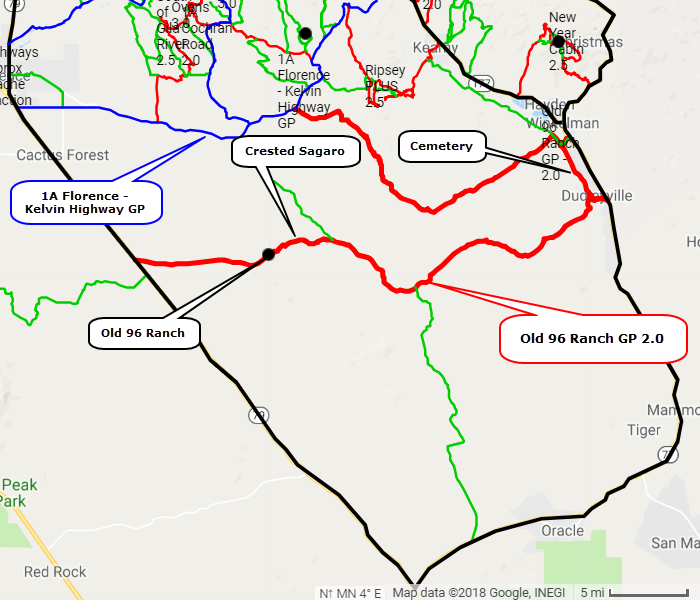 This biggest portion of this Jeep trail is an easy and relaxing trip on well maintained gravel road from Highway 79 south of Florence to Highway 77 at Dudleyville. 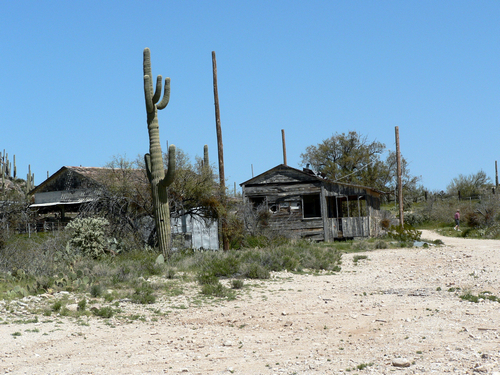 This is where you can explore the fairly extensive "Old "96" ranch. I do not know the history of the ranch but it cannot be very old, as ranches go. Suitable for most vehicles. The main house was the adobe structure shown on the right. Looks like it was a nice place when it was built in 1936. Even had a fancy fireplace. It appears the owner is happy to have visitors as the above quotation was a sign at the road by the main house. He only asks that there be no vandalism. There are numerous outbuildings, including an underground storage room with a stone walkway down to the entrance. There is also an extensive water system down in the wash. 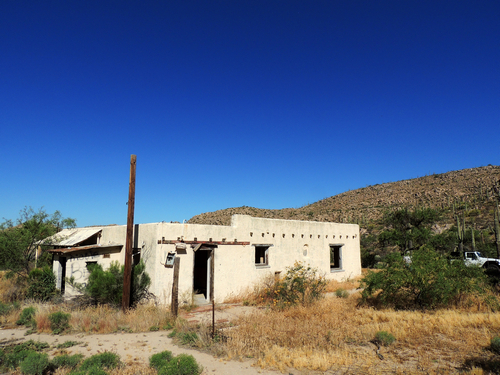 There is a website that, at one time, offered the ranch for sale. 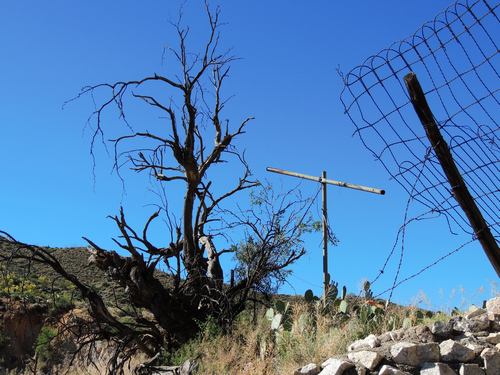 The ranch consists of 642 deeded acres and almost 57,000 acres of State Grazing Lease. 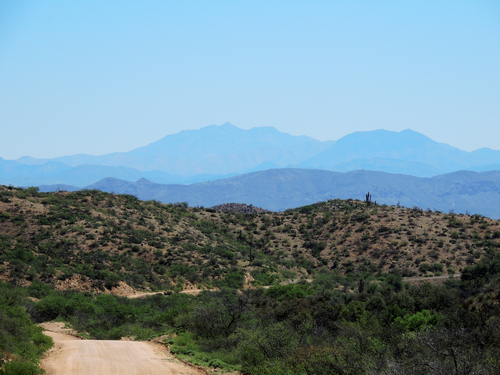 High country surrounding the ranch is Ninetysix Hills. My guess is that the ranch was named after the hills. 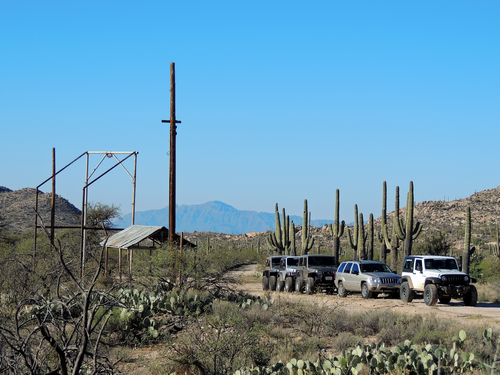 The original owners planted a line of saguaro at the approach to the ranch. ​We wondered if the steel framework was a place to butcher cattle. 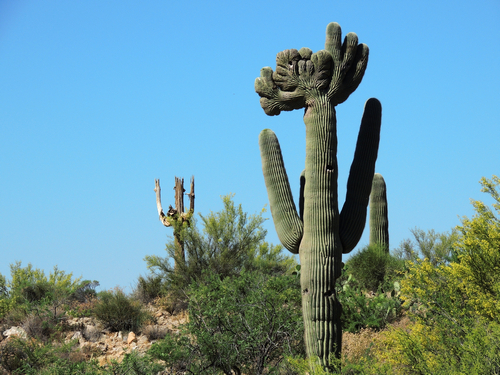 ​A short distance to the west along the road is a very interesting crested saguaro. 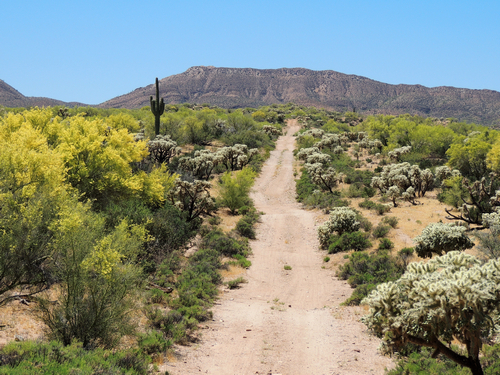 Continuing west you will rise above the saguaro to almost 4.000' then drop down into the San Pedro River valley at Dudleyville. 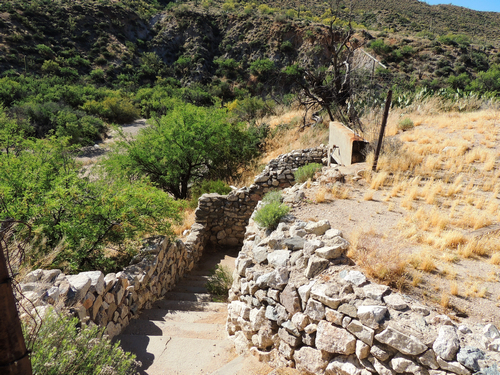 The San Pedro starts near Sierra Vista and flows 140 miles north to its confluence with the Gila River, at Winkelman. It is the last major, free-flowing undammed river in the American Southwest. When we did this trip we stayed on the west side of the river up to Winkleman, then headed to the Florence Kelvin Highway via a pipeline road and the Old Florence Road. This section is nothing to write home about - no special attractions and not much for scenery. I included it in the trail in case you just want to see the area. Very remote area that sees very little traffic - rated 2.0 for difficulty. There is an old cemetery on the west side of the river between Dudleyville and Winkleman. It has a few interesting monuments.